Here a some fun ideas for fall snacks for the kids in Sunday school or Children's church. Make something and take it to church for them. We provide all the free templates you need to print out and just cut out. 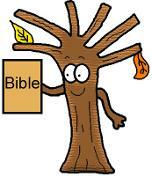 We also have Fall Sunday school lessons that come with matching materials to go with them!